"We have turned a corner," Jane Philpott told The Canadian Press. "We will reach a day soon where we will know that the parties have agreed that we have fully complied." She said the government is working with the tribunal to confirm every one of its orders has been fulfilled. The First Nations children's advocate who filed the complaint said the matter is far from settled. "It's untenable to me that still in 2018 the Canadian government gives First Nations kids less than every other kid in the country," said Cindy Blackstock, executive director of the First Nations Child and Family Caring Society. "That, to me, is unacceptable and it needs to change and there needs to be a plan to change it." In 2007, Blackstock's society and the Assembly of First Nations filed a complaint with the Canadian Human Rights Commission. Nearly a decade later, the tribunal sided with Blackstock and ruled the government discriminates against First Nations kids because they can only get the same child-welfare funding and programs if they are taken into care, often out of their communities and into non-Indigenous homes. The tribunal ordered Canada to stop discriminating immediately, reform First Nations child-welfare programs and make sure Indigenous kids have their health, education and social needs met no matter where they live. In February, the tribunal issued a fourth non-compliance order to Ottawa. It said the "seriousness and emergency of the issue is not grasped with some of Canada's actions and responses." The same day, Indigenous Services Canada sent a letter to all 105 First Nations child and family services agencies. It said the federal government would immediately begin to cover agencies' actual costs, as well as reimburse them retroactively to 2016. 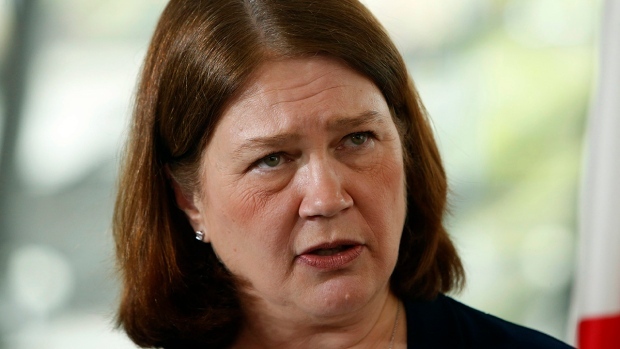 Philpott pointed to funds in the federal budget -- about $1.4 billion over six years for First Nations child and family services -- as an important step towards meeting the tribunal's requirements. Blackstock said compliance doesn't come from promised money -- the government needs to show that it will flow to children. "We don't know how much is going to go to provinces and we don't know how much is going to First Nations agencies or to First Nations," Blackstock said. There have been encouraging developments since Philpott took over the file, she said, but Blackstock is skeptical the funding will come without strings attached. Money often doesn't make its way to kids unless certain conditions are met, she added. Philpott said increased funding isn't the government's only solution. The idea is to change things so there aren't "these perverse incentives which incline the system to see kids being apprehended." There is a lot more flexibility in the new funds so money goes to support families and doesn't flow only when children are apprehended, Philpott said. "We are doing well beyond what the tribunal has asked us to do in terms of really transforming the system," she said. "Really trying to find ways that we support families."